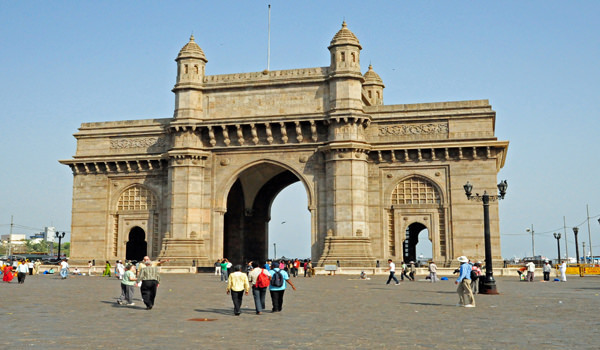 After Breakfast proceed to half day city tour of Mumbai which covers Kamla Nehru Park, Hanging Gardens, Marine Drive, Chowpatty Beach, Prince of Wales Museum, Mani Bhawan, Dhobi Ghat and Gateway of India. After sightseeing back to the hotel. Later check out the hotel and proceed to Mumbai airport to board a flight to Aurangabad. On arrival at Aurangabad airport you are transferred to hotel. Check in the hotel and relax for some time. Overnight stay at the hotel. 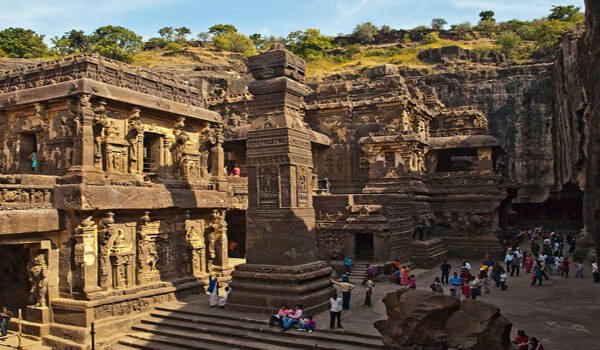 After Breakfast proceed to full day sightseeing of Ajanta Caves These caves have Buddhist sculpture and portray the religious and social life of the times. After sightseeing back to the hotel. Evening is at leisure for your individual activities. Overnight stay at the hotel. Early in the morning arrive at Hyderabad railway station and you are transferred to hotel Check in the hotel and relax for some time.. In afternoon take a half day sightseeing of Charminar, the Mecca Mosque, the Salar Jung Museum and High Court Buildings. After sightseeing back to the hotel. Evening is at leisure for your individual activities. Overnight stay at the hotel. 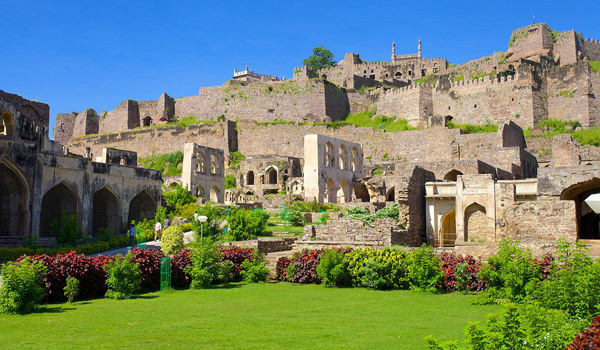 After Breakfast full day is at leisure for your individual activities and you can also take a optional tour of Golconda here you visit Golconda Fort, the market place, the extensive Roof Garden and the tombs of Qutub Shahi Kings. After sightseeing back to the hotel. Overnight stay at the hotel. After Breakfast check out the hotel and proceed to airport to board a flight to Chennai. On arrival at airport you are transferred to hotel. Check in the hotel and relax for some time. In afternoon proceed to half day sightseeing of Chennai which covers the Art & Bronze Gallery, Flower & Fruit market, High Court, Fort Museum, Marina Beach, Santhome Cathedral and Snake Park. After sightseeing back to the hotel. Overnight stay at the hotel. 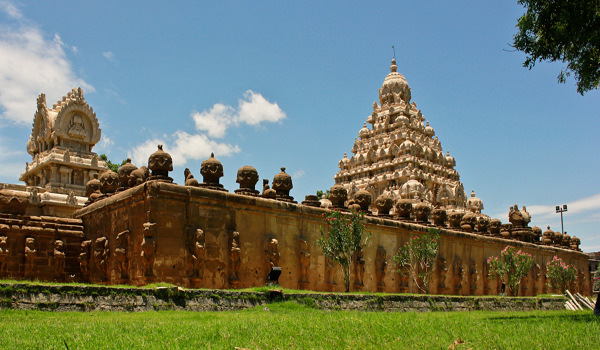 After Breakfast proceed to full day sightseeing of Kanchipuram/Mahabalipuram Kanchipuram was the ancient capital of the Pallava kings. It was popular as the city of 1000 temples and many of them are in use to this day. The city is also famous for its silks. or Mahabalipuram is famous for the five temples that are carved out of monoliths. After sightseeing back to the hotel. Overnight stay at the hotel. After Breakfast check out the hotel and proceed to railway station to board a flight to Mysore. On arrival at Mysore railway station you are transferred to hotel. Check in the hotel and relax for some time. Rest of the day is at leisure for your individual activities. Overnight stay at the hotel. After Breakfast proceed to full day temple tour of Belur and Halebid. These temples are the best example of Hoysala architecture and are over 900 years old. After sightseeing back to the Mysore. On the way visit Sravanabelagola to see the statue of Lord Gomateshwara craved out of a single rock, and this monolith dominates the entire skyline of Sravanabelagola. Later back to the hotel. Evening is at leisure for your individual activities. Overnight stay at the hotel. After Breakfast proceed to half day sightseeing of Mysore which covers Maharaja’s Palace, the Art Gallery, Chamundi hills and visit the Chamundeshwari Temple. After sightseeing back to hotel. 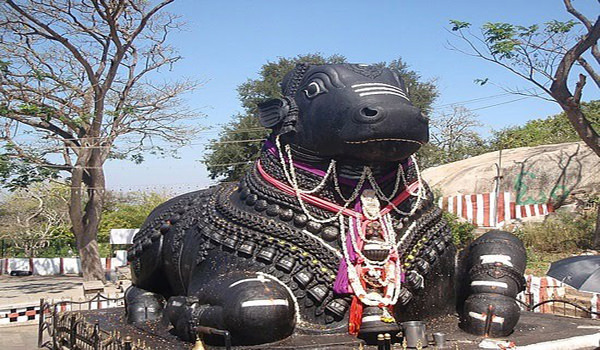 On the way visit Nandi Bull Temple. Rest of the day is at leisure for your individual activities. Overnight stay at the hotel. After Breakfast check out the hotel and proceed to Bangalore. On arrival check in the hotel and relax for some time. In afternoon proceed to half day sightseeing of Lal Bagh the botanical gardens, the Maharaja’s Palace, the Vidhan Soudha and other attraction. After sightseeing back to the hotel. Evening is at leisure for your individual activities. Overnight stay at the hotel. After Breakfast check out the hotel and proceed to airport to board a flight to mumbai. On arrival at mumbai airport you are transferred to hotel. Check in the hotel and relax for some time. Later take a half day sightseeing of Hanging Gardens, Marine Drive, Chowpatty Beach, Prince of Wales Museum, Mani Bhawan, Gateway of India, Crawford Market, and Flora Fountain. After sightseeing back to the hotel. Overnight stay at the hotel. After Breakfast check out the hotel and proceed to Mumbai airport to board a flight for your onwards journey.